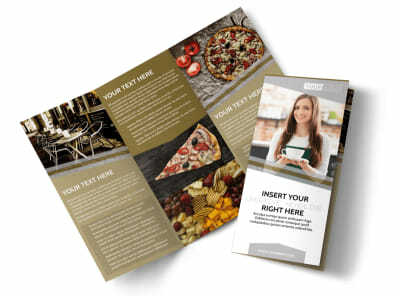 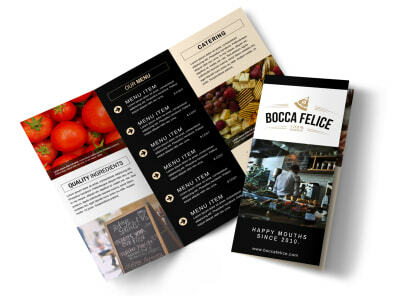 Make an impression on the locals with professional brochures that detail what your restaurant, deli, bar, catering business or other establishment has to offer. 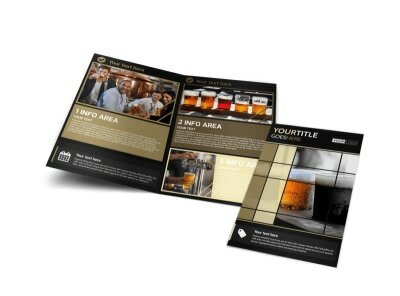 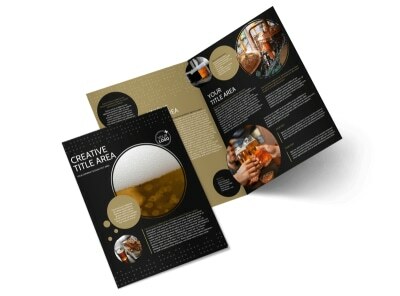 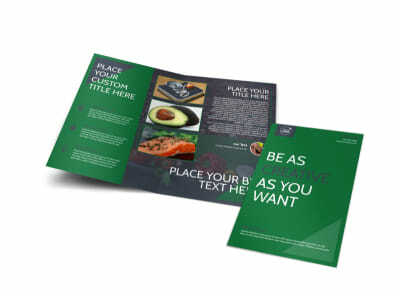 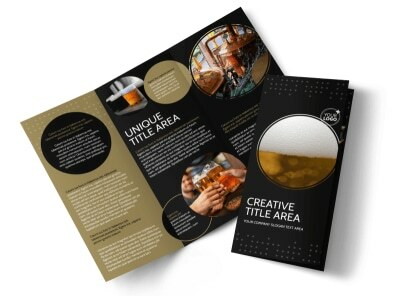 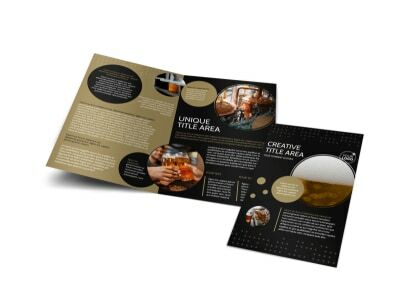 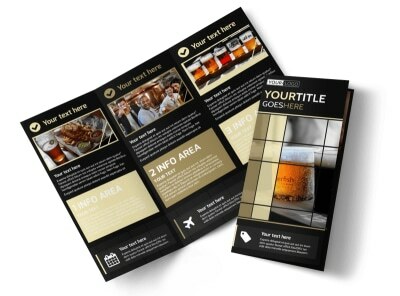 Use our food and beverage brochure templates to help your customer base get to know you better through uploaded images, graphics, and text. 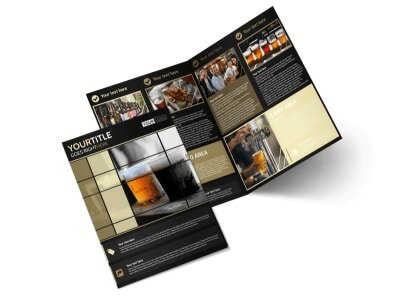 Our online editor simplifies the customization process, so your brochure is as unique as your business. 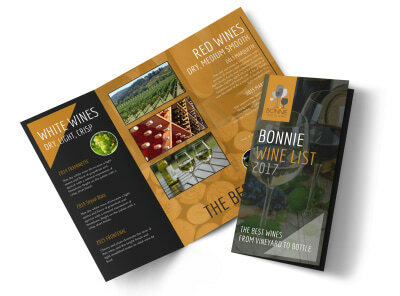 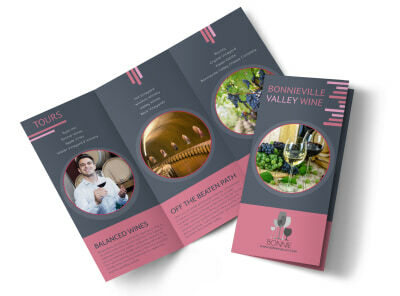 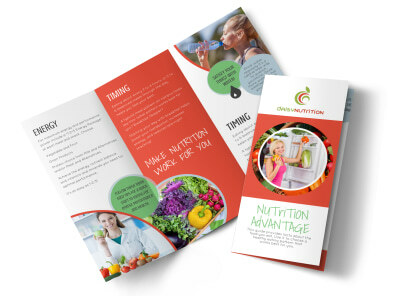 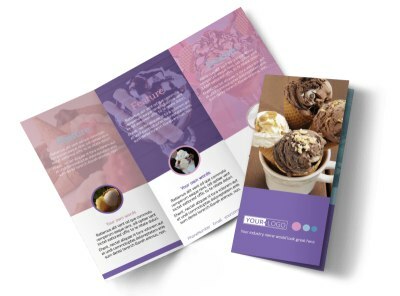 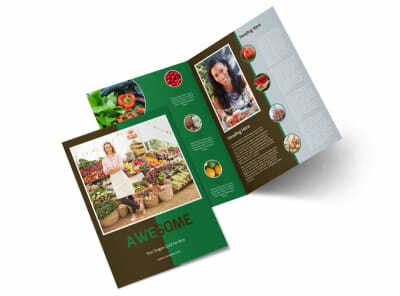 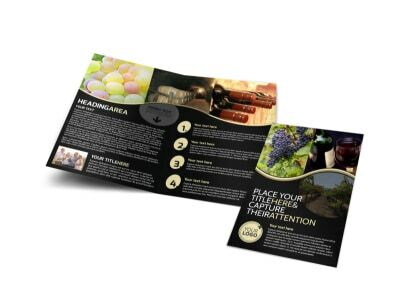 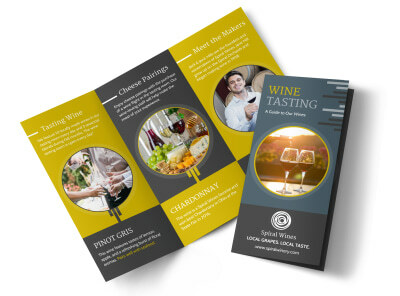 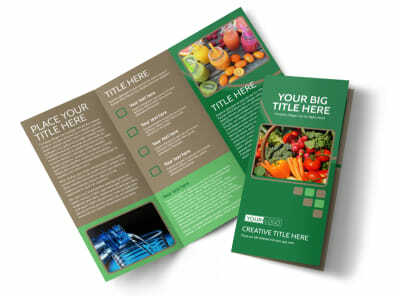 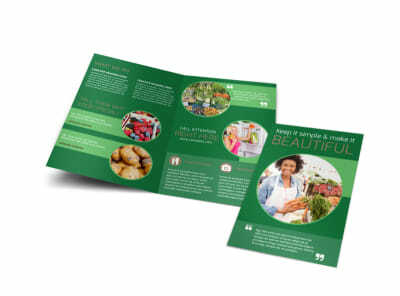 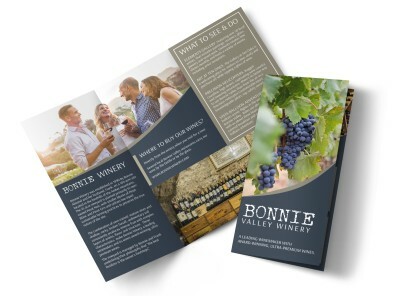 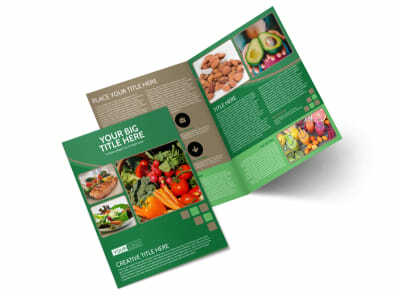 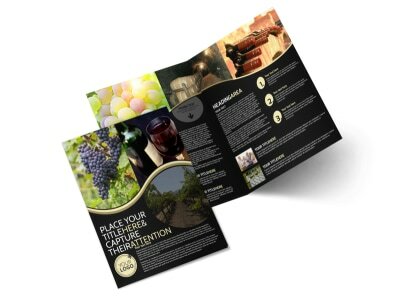 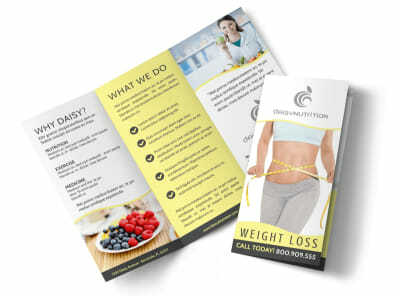 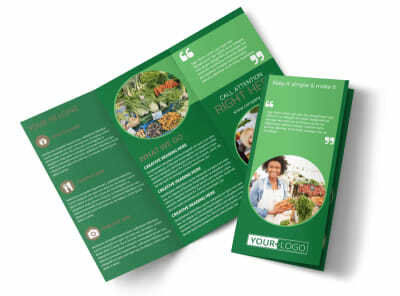 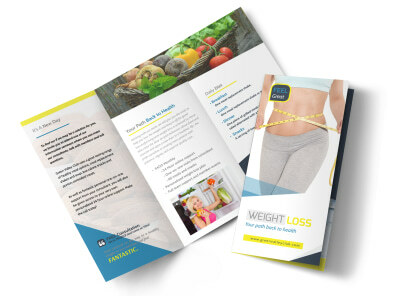 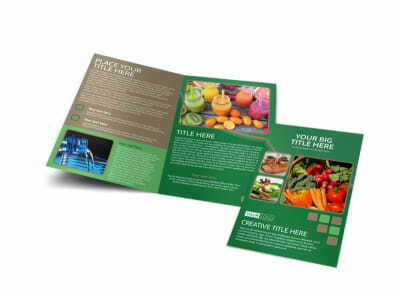 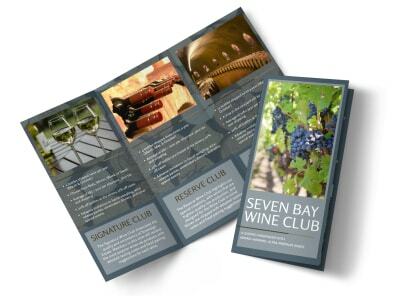 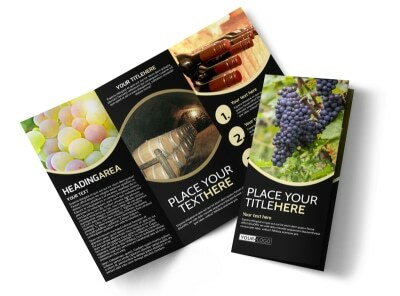 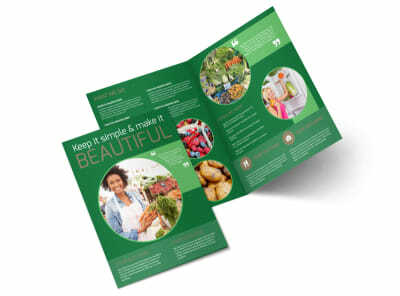 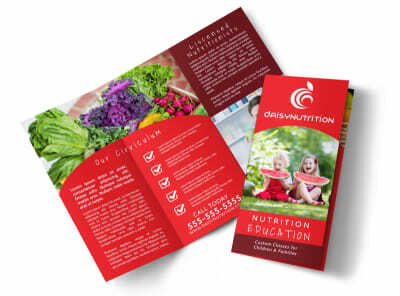 Select from different folds, sizes, and other elements to customize your brochures to the fullest, whether you’re talking about your winery or distributing nutrition brochures to promote a healthy living. 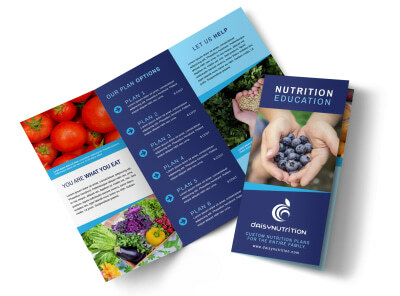 When your design is just perfect, print it yourself from anywhere, or leave the printing to us to enjoy professional results on high-quality paper. 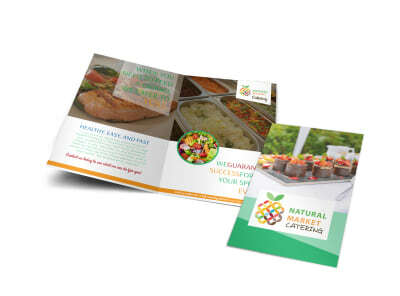 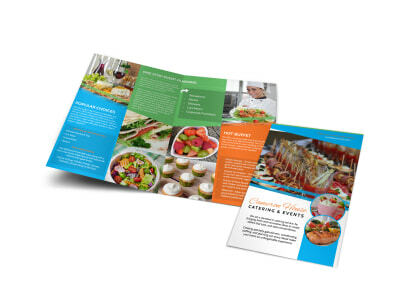 Get potential catering clients salivating over what you have to offer for their upcoming event by customizing one of our professionally-designed catering brochures. 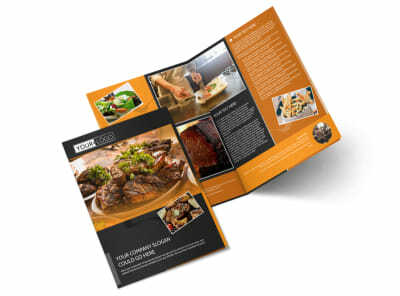 Whether you go with a bi-fold or tri-fold design, you’ll have plenty of space to display your culinary talents. 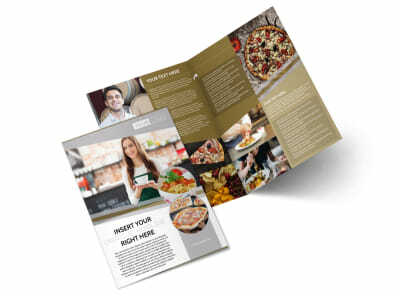 Begin with good mise en place, gathering photos of your best work, biggest events, and most popular dishes, along with your knowledge of current trends. 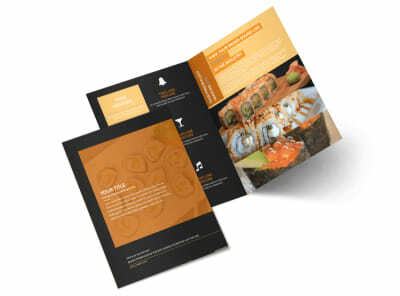 Include a full or sample menu, with full-service per plate and per person buffet costs. 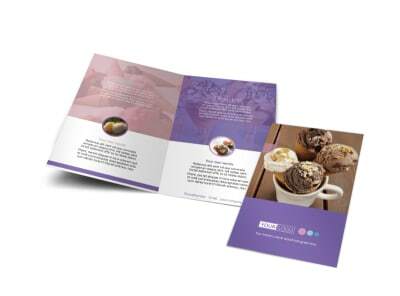 Our online editor makes it easy to add your own flavor to a classic brochure recipe – your finished product will be ready to serve in no time! 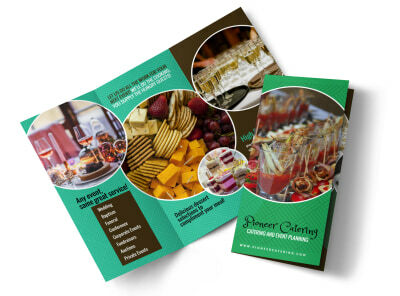 Your restaurant’s catering service and special event spaces deserve top billing. 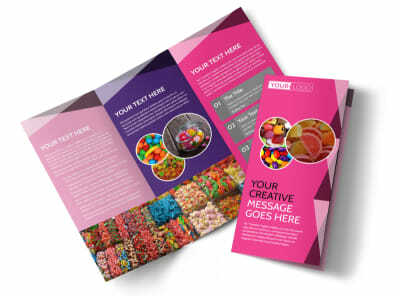 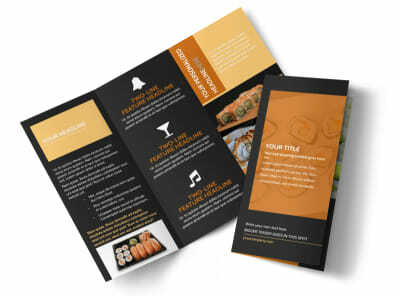 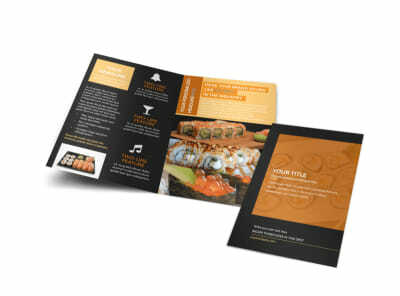 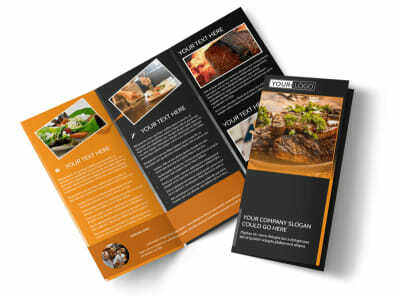 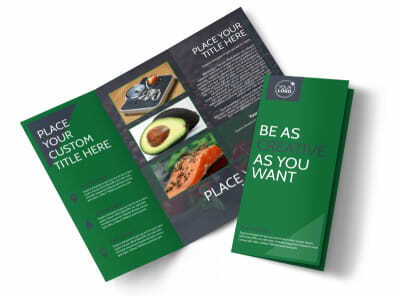 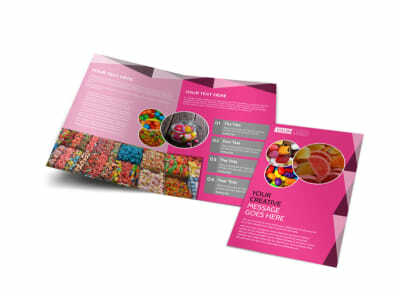 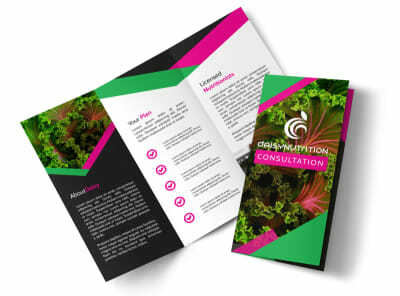 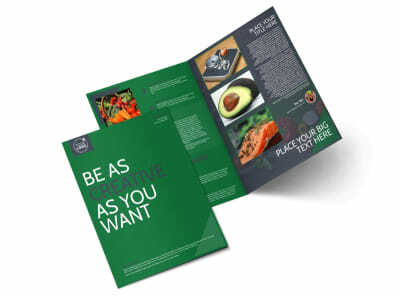 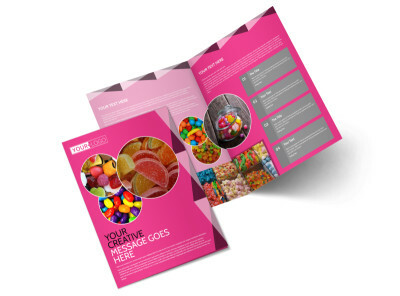 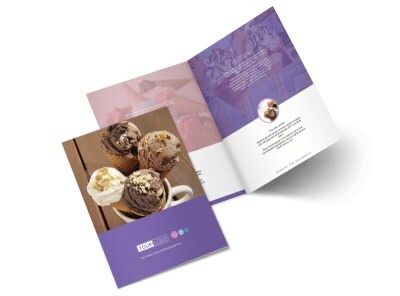 Give them their just desserts inside the folds of a custom-designed brochure that allots prime marketing real estate for everything you have to offer! 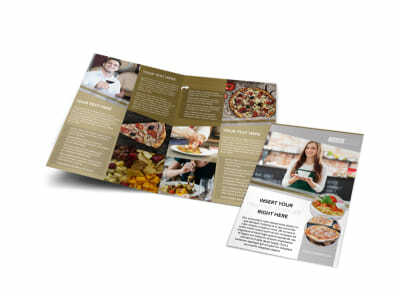 The professional design team at MyCreativeShop has been hard at work on a full menu of restaurant brochure templates for you to customize (while also secretly hoping you’ll cater their next working lunch). 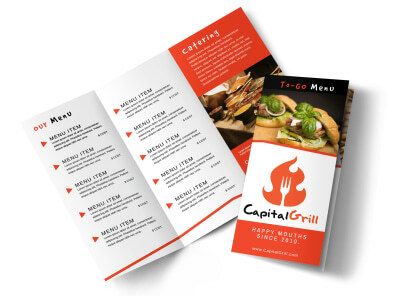 Select the one that fits your establishment the best, then use our online design editor to give it your signature touch – add your logo, appetizing photos, and mouth-watering descriptions to get your customers on board with what you’ve got cookin’! 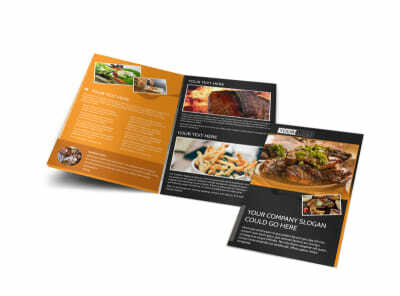 Your finished tri- or bi-fold design can be yours to take and bake [print] anywhere you like or you can stay in and have us serve you!